Hey guys, I cannot wait to tell you how I love this lip product from VMV Hypoallergenics. I was suppose to hit the sack because I have an early thing tomorrow but after trying this on, I couldn't possibly sleep on it and delay my review any further. So here it is.. The VMV Hypoallergenics Lip Glitter Gloss in Princess comes in a gorgeous glass tube with a twist off cap and applicator sponge tip. It's 100% fragrance-free and doesn't contain paraben, preservatives and irritating waxes. It glides on smoothly and has an initial sticky feeling but goes away in a few minutes. It's non drying and doesn't feel heavy on your lips. It gives a glossy finish with noticeable tiny glitters and gives a red orange hue very similar to Victoria's Secret Beauty Rush Lip Gloss but less sheer. Staying power is quite okay but you may need to reapply after a drink or meal. Overall, I love this lip product from VMV Hypoallergenics and I will definitely buy other shades from the same line soon. I do recommend it to those who want glittery lip products that can stay on after a decent amount of time. If you're the type who likes glassy finish without much glitter then this is not the right lip product for you. Hey guys! I was home a little early today and got myself a treat from the mail. Inside are my samples courtesy of Sample Room, the very first sampling site here in the Philippines. This online community aims to give us consumers the opportunity to try out products in their sample sizes before splurging on them. I've been an avid follower of Sample Room since it started this year and I must say I have discovered a couple of must-haves via this amazing site like the Shu Uemura Whitefficient Clear Brightening Gentle Cleansing Oil and Celeteque DermoScience Brightening Eye Tuck plus Dark Circles Lightener. This time I got 3 samples one of which is in full size and I only paid a hundred pesos for shipping. I haven't really tried them but I will in the next several days. For now, I just want to share with you what I got. I'm excited to try out these samples and tell you how they are after a few days of use. If you want to receive samples of your own from Sample Room, click here to register and start getting premium product samples right to your doorstep. Hey guys, I know I've been babbling about the BDJ box in my past several posts but I feel incomplete not having to share with you in full detail the contents of this wonderful box so here it goes.. The last time, I didn't get an information card of the products included in the November box and I even thought they did it deliberately because the box was already overflowing with goodies. It wasn't a big deal anyway and I'm actually far from complaining since it was generously packed with amazing stuff. I found out later that they missed including it in my box and apologized for the mistake. Good thing my December-January BDJ box has this info card. The BDJ box team never ceases to amaze me with their array of products. I love that they include different product lines like perfumes, cosmetics, skin and hair care products thus targeting the different concerns of women nowadays. 4. Etude House 10% discount on all skin care, cleansing and pack. 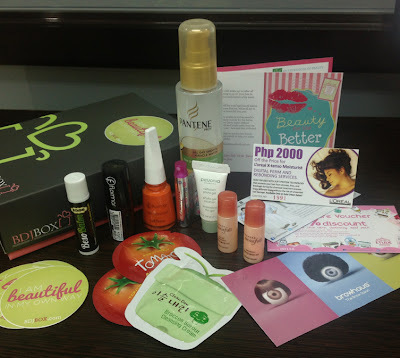 Above table shows us that this month's BDJ Box is approximately valued at Php 4,520 plus 2 discount vouchers valued at 10% off each from Tony Moly and Etude House. I really got more than what I paid for and I can't wait to try all of these amazing stuff. So what are you waiting for? Subscribe now to BDJ Box and start getting an array of premium products to try out monthly. Who knows, you just might discover your new must-have. Hey guys. I recently got my December-January BDJ box and I'm pretty much impressed with how the people behind BDJ make each and every box stand out. Though I must admit the November box is my ultimate favorite among the three, this month's box is still a hit because the contents are worth more than what subscribers paid for. Among the array of skin and hair care products included in this month's box, I couldn't wait to try the Pevonia Botanica Phyto Gel Cleanser. I really haven't heard of Pevonia Botanica before but upon reading the product information, I got even more curious and excited to use it. Pevonia manufactures an organic skin care line offered by the most prestigious spas worldwide. Having them available in the market for local consumers will help in maintaining healthy, youthful looking skin right in the comfort of your homes. The Pevonia Phyto Gel Cleanser came in a 5mL sample tube but the full size is housed in a 250 ml bottle with a pump dispenser. This is a clear cleanser that has a consistency similar to a runny gel. The scent is so mild that it's almost unnoticeable. It feels so smooth on your skin, lathers up minimally and washes off easily. After initial use, it instantly made my skin feel supple to touch. I had no skin tightness, itchiness or any type of irritation. I noticed having purely cleansed skin with visibly dirt free pores. It's also nondrying so my skin felt refreshed and moisturized. After a week of religiously cleansing my face with the Pevonia Botanica Phyto Gel Cleanser, I noticed having softer skin without signs of irritation. I'm quite amazed that I didn't break out during my period while using this cleanser. This is a major plus for me since I haven't found a cleanser that prevents me from pimple break outs especially during my period. I also noticed having less oil production on my T-zone and an absolute improvement with my skin texture since I started using this. The only downside is the price because one full size bottle costs Php 3,640. But for a cleanser that delivers visibly satisfying results in just a few days of use, I'm willing to overlook the expensive tag. I highly recommend this product to those who are willing to splurge on a cleanser that truly bears effective results. If it's way over your budget, this is when the BDJ box subscription works its wonders. 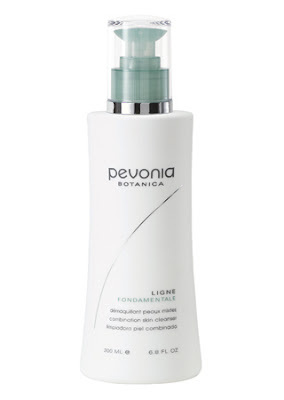 For just a fraction of the cost, you get to have a sample size of the Pevonia Botanica Phyto Gel Cleanser so you'd know how it works for you. Also, you get several other products so you're really getting more than what you pay for. Overall, I love the Pevonia Botanica Phyto Gel Cleanser to bits and I'm pretty much thankful to BDJ box for living up to its advocacy of helping women in their quest for the best beauty products. You may want to check out this unboxing video I made via iMovie for iPad to see the actual contents of the December-January BDJ box. A few thumbs-up won't hurt. :) Thanks and have a great day! Last year, I saw this on display at Landmark's beauty section, got curious and bought the smallest box just to try it out. From then on, I got hooked and I haven't used any other cotton pad. I used to buy the smallest box but I figured I can save more by purchasing the biggest box. I love that it comes in a sturdy plastic container pretty similar to that of a wet tissue bin. The top flips off easily and the pads can be pulled out. This contains a total of 300 pads so it will definitely last for a long time. It's a little bit thicker compared to wet wipes but the fibers don't separate even when soaked. One pad is enough to apply several liquid based skin care products at a time like toner, softener or acne treatment solutions. What I also love about this pad is that you get to save more of your skin care products because a small amount is enough to soak its entire surface. Overall, this product rocks. You might want to give it a try because I highly recommend it to everyone. I just repurchased the biggest box for Php 124.75 and this will definitely go a long way before it runs out. Hi guys! Lately I've been so busy and wasn't able to share with you the unboxing of my December-January BDJ Box right away so I just made this short video clip using iMovie on my iPad to be quick. Enjoy watching and do subscribe to my You Tube channel pinkvernis for more of my video blogs. CC Cream: The Next Best Thing? Aloha! In the past days,I've been so busy with wedding preparations and I have to say HAIL to all wedding organizers. The stress level it entails is way up there so I can't imagine doing this more than once, more so doing it for others I don't even know. So to all brides/grooms out there, be considerate and reasonable when dealing with your organizers. You'd be surprised at how they can go above and beyond the call of duty just by treating them nicely. On to the subject of this post. Early last year I heard of CC creams as the next best thing in the beauty industry. Surprisingly (or not), it didn't really make the headlines nor make a great impact on consumers unlike BB creams. I for one was quite skeptical about it because it felt too obvious that they're hitching onto the popularity of BB creams. Remember, consumers nowadays are wiser and can't be fooled into thinking that newer products perform better than their predecessors. CC cream, short for color correcting cream has been spotted as early as 2009 and made popular in Asia by Rachel K after its debut in 2011. In 2012, Chanel launched its own CC cream in China making it the first international brand in the market. Shortly after, Olay joined in the band wagon and came up with their own version. Olay Total Effects CC Cream comes in a 50 ml slim container with a pump. I'm quite impressed of how the contents were designed like a vertical helix. I may have dropped this several times yet it remained intact. Now I can't wait to consume it to see how it looks when half empty. It easily melts in your skin hence making application effortless. 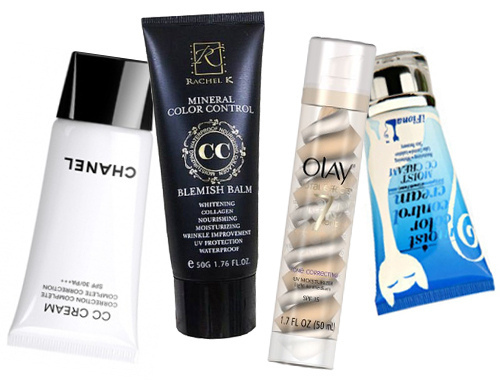 It blends well with your complexion without leaving a white or gray cast. It gives you a moisturized and dewy finish that doesn't appear oily. Provides sun protection (spf 15). It doesn't feel heavy on your skin. It didn't cause skin irritation or pimple break outs. It only takes a small amount to cover your entire face and neck. It can only offer you sheer coverage. Your skin may get a little greasy over time. For better coverage, use it with a concealer or top it with a foundation. To keep your face from getting oily, retouch with a finishing powder especially in the middle of the day. You may also use an oil blotting film if you're not into face powders. 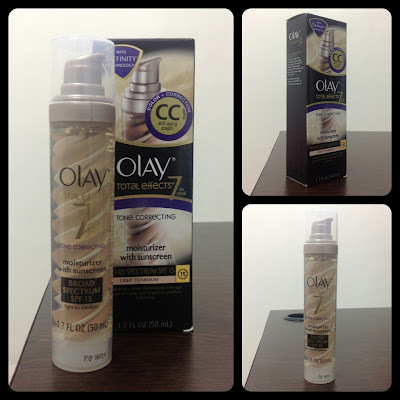 I had mixed reactions when I found out Olay came up with their own CC cream. First, I felt happy because Olay is my ultimate favorite moisturizer but a bit sad because I've been commending them for standing by their products and not formulating new ones just to join in the BB craze. Don't get me wrong, I'm all for new and improved skin care products especially the ones made by Olay but it would've been better to stick with the label tone correcting rather than color correcting. At the end of the day, the name won't even matter especially when a product delivers great results. Overall, I like the Olay Total Effects CC Cream but I have to admit that after using this for several days, I haven't noticed its difference from a BB Cream. Maybe it's still early to make a final judgement but in terms of immediate benefits like coverage, sun protection and moisturization, both BB and CC creams deliver similar effects. I will continue using this but if it delivers the same benefits as a BB cream, I may have to go back to my BB cream and not repurchase this once consumed. I recommend this to those who need sheer coverage and are fond of using BB creams or tinted moisturizers. For those who need fuller coverage, this might still work when used with concealer or powder foundation. Hello everyone! Just yesterday I received gifts from my loving fiance who unconditionally tolerates my kakiyan (vanity). He actually remembers stuff that I love and surprise me with them every time. 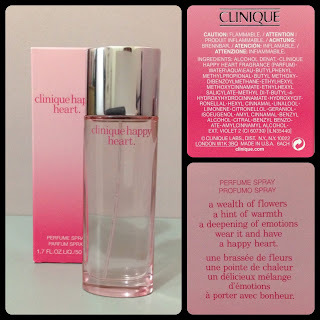 I've been wanting to buy the Clinique Happy Heart since the day I tested the scent in their Trinoma kiosk so just imagine my joy when I got this. 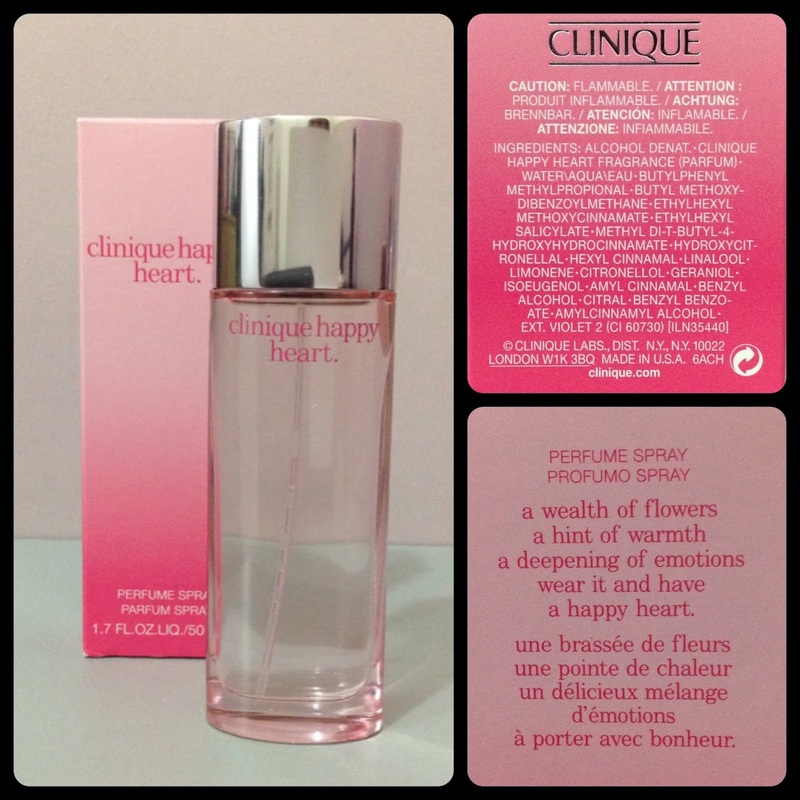 This Clinique Happy Heart comes in a 100ml bottle which for me is more than enough to last for months because a single spray is all it takes to keep you smelling great. It has a warm floral scent that's not too girly nor too overpowering. This can be worn as your everyday signature scent and is appropriate for any occasion. I'm also loving the slim bottle which you can carry in your purse without taking too much space. Overall, I am over the top HAPPY for having this and will definitely buy one when it gets consumed which I believe won't be anytime soon. I highly recommend this to every lady who wants to try a scent that gives a lasting impression. Hey guys! I recently browsed through multiply and was surprised to find out that it's been exclusively turned into an online shopping site. I'm actually loving the concept because unlike ebay they offer more convenient payment options to online customers. I've been wanting to get a Sigma dry n' shape so I could easily clean and dry my makeup brushes but ordering it online will take weeks and costs a lot. Good thing I saw this on multiply. 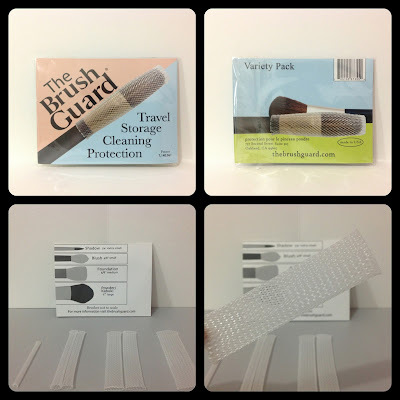 The Brush Guard is designed to protect the bristles of your makeup brushes and makes drying and storage hassle free and fool proof. There are different sets available but I got the variety pack so I could try them on all my brushes. This includes 4 different sizes of brush guards covering everything from the smallest eye liner brush to the largest powder brush. Come to think of it, I wish I bought 2 packs so I could use one for storage and the other for cleaning. If you're familiar with curl formers, they pretty much have the same nylon woven material but the similarity ends there because The Brush Guard is flat and shorter. For demonstration purposes I used my ever reliable Sigma premium travel kit which I use everyday but don't get to clean as often as I want to. The variety pack is just right to clean almost all the brushes in the kit. The woven nylon stretches to accommodate the brushes leaving small spaces that allow them to breathe. 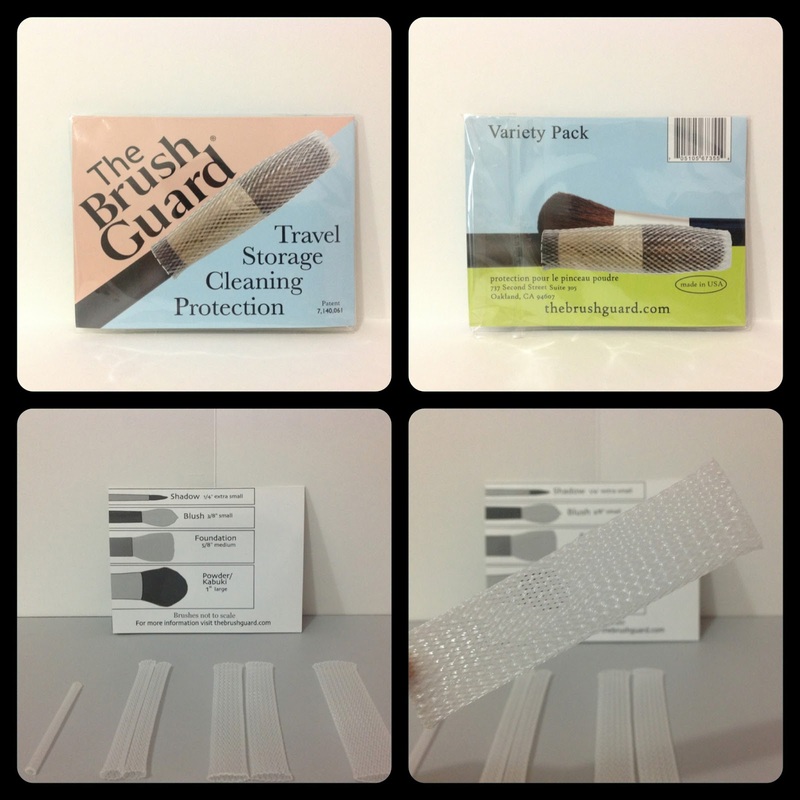 Aside from storage, The Brush Guard also helps shape and dry your newly washed brushes. 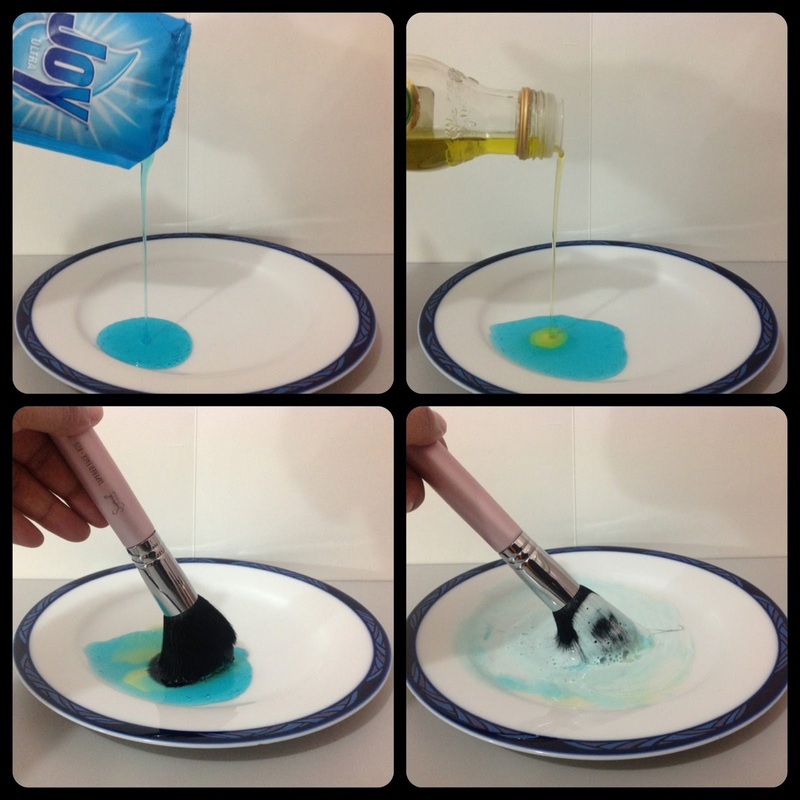 To clean your brushes you need anti-bacterial dish washing liquid, olive oil, plate, wide mouth glass container and your brush guards. Mix 3 parts of anti-bacterial dish washing liquid and 1 part of olive oil. Dip each brush then swirl until all the dirt comes off. Rinse them under running water, gently squeeze the brush to remove excess water and blot each brush against dry tissue paper. Slip the brush guard over the handle until it extends 1/4 to 1/2 beyond the bristles. 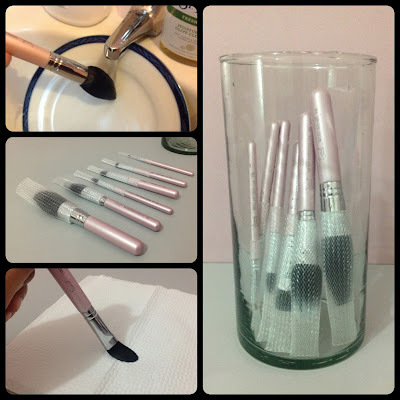 Allow the brushes to stand in a glass container with the bristles pointing down. This way, you're preventing water to reach the ferrule and cause early damage. Now I have a new set of clean makeup brushes to use. You have to be careful with slipping the brush in each guard and check if the bristles are secured and not peeking through the tiny spaces otherwise the bristles might flair out. I love that The Brush Guard is capable of multitasking as it helps shape and protect your brushes during storage or cleaning. It's also very affordable and can be bought locally via multiply. I got mine for only Php 250 with free delivery. I will definitely buy another set so I could store my other brushes and alternate them weekly. I also highly recommend The Brush Guard to everyone who owns makeup brushes.